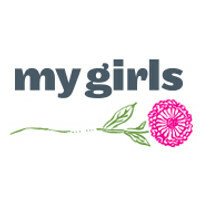 My Girls™ Cream helps cancer patients protect their skin from radiation therapy side effects; features calendula, which helps diminish fine lines on the face, and calm acne, sunburn and insect bites. - See more at: http://www.skininc.com/products/facial/specialty/168802286.html#sthash.qPs8APYu. Rise and Shine Breast Cancer Survivors all, these four women get 20-minute head-to-toe transformations that deliver big impact.